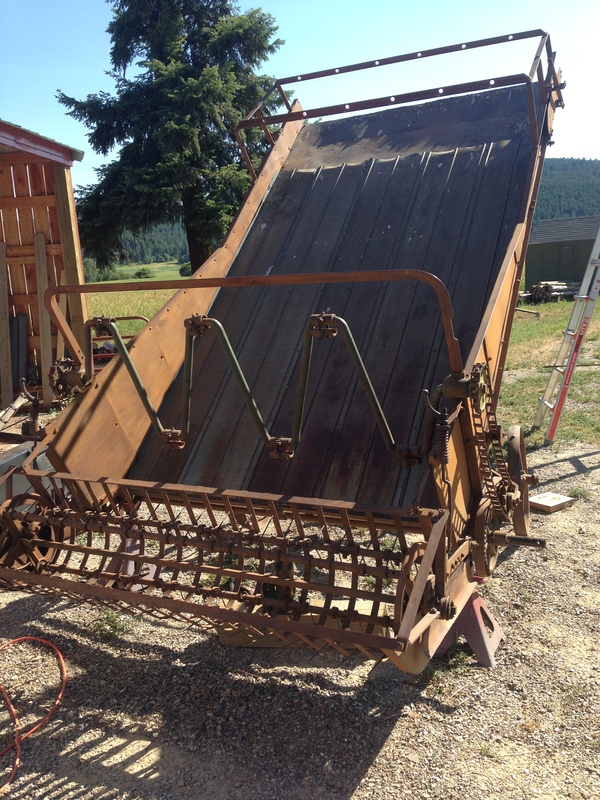 As Virginia would say,”Do you know when to buy a hayloader? When you find a hayloader”. As it happens, our John Deere hayloader was the first implement we bought, back in 2011. It sat alongside U.S. 395 for years just south of Chewelah. I remember it as a child, riding past it in the milk truck with my dad. Anyway, we bought it, and the fun part was getting it back to the farm! It was only 6 miles, but we took the backroads and we drove slow. Virginia followed behind in the Jeep to pick up the parts that fell off enroute. We unloaded it at the farm, and there it sat. Until this summer. It had some broke castings and worn parts, so first thing first, we got it all fixed up mechanically. We replaced the broken and worn parts with new parts, cleaned and lubricated everything, and made sure everything functioned as designed. With that, we prepped, primed and painted it. It was certainly one of the most tedious projects ever. Just the geometry with all the bars, angle irons, etc required a great deal of patience and attention to detail. 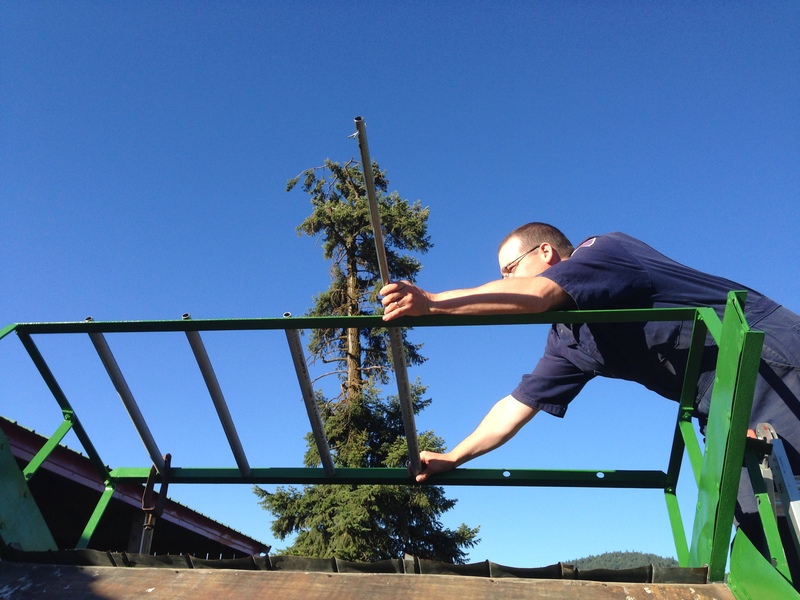 All of the original wood parts were beyond saving, so I cut new raker bars out of the best clear Fir I had on the farm. While many old farm implements used hardwoods from the East for their wood parts, out here in the West, my go-to wood is Douglas Fir. It’s strong and easy to work with. I cut my own pitmans from it too! For the dowels that support the top of the raker bars, I departed from the original wood, and instead used IMT conduit (heavier than the typical EMT conduit) with grey PVC conduit sleeves over it. I used conduit rather than just PVC water pipe because it is UV stabilized. The PVC sleeves are cut to just fit between the braces, while the IMT extends through them and are secured with cotter pins. 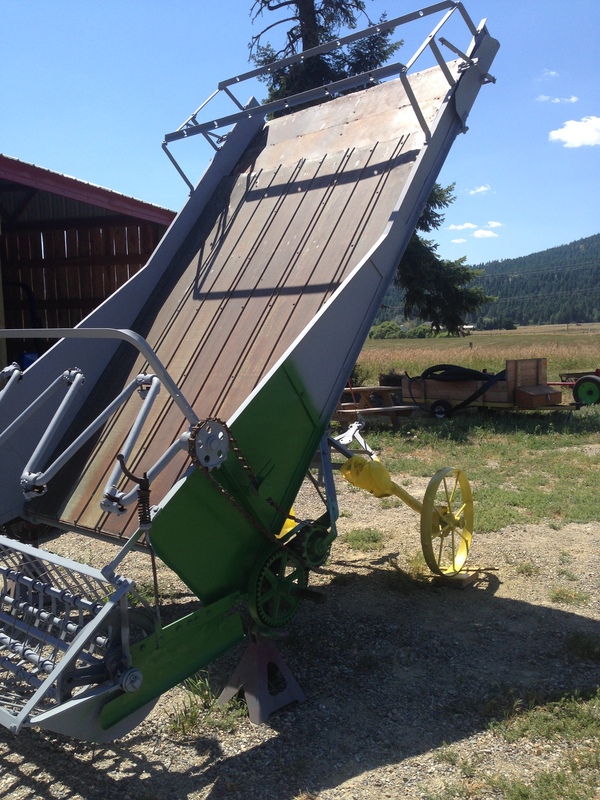 I’d love to take the credit for this, but the idea actually came from Doc Hammill’s hayloader we looked at while at the draft horse workshop in Montana. Here’s a video of it in action! It worked great, and totally exceeded our expectations! 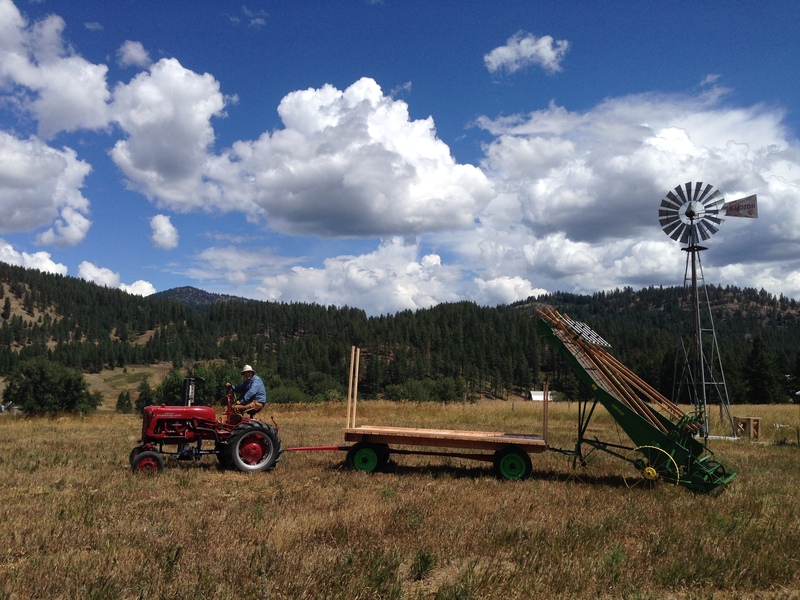 Please note that normally, whether pulled by a tractor or horses, there would be a second person on the wagon with a hay fork to “build the load” as hay comes over the front of the loader. 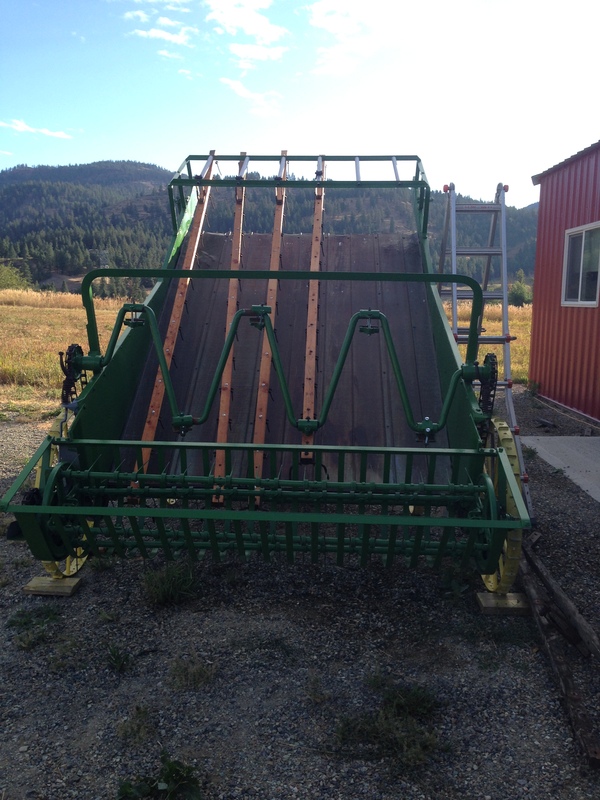 This entry was posted in Equipment and tagged hay, hay loader, john deere, loader, loose hay. Bookmark the permalink.